Starting on December 7th, we’re going to launch a series of XERA: Survival weekend sessions across all regions to ramp up our server stress testing, and to get a wider variety of PC rigs putting our code through its paces. To find out the time these sessions start, click the map below, or here to see the start time in your current locale. Additionally, we will be backing up existing players’ data before each weekend starts, then resetting the database so every player starts the Invitational Open Alpha weekend session with no advantage. At the end of the play session, we’ll be restoring your data, so you can continue playing as before until the following week when the process will be repeated. If you’d like to get some mates playing the game with you, then please invite them! Please note, if you are already a Backer and have access to the Alpha, you will automatically have access to the Invitational Open Alpha. The link in the message includes your Discord username to give you credit for inviting people - we’ll be rewarding the most active recruiters! Feel free to customise the message of course with your own additions. 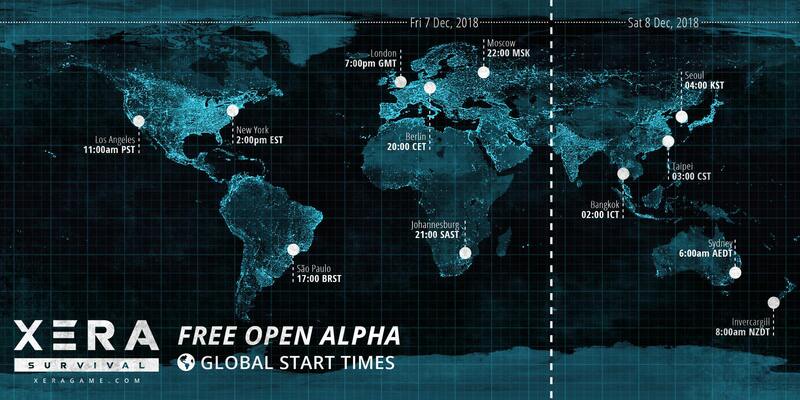 We have a limited number of Invitational Open Alpha keys available, so please invite only your friends you feel will enjoy trying the game out. You’ll probably have a few questions about the Invitational Open Alpha, so we’ve tried to anticipate a few of these below in our FAQ. But if your question is unanswered here, feel free to ping it back to the team either in the Forums or Discord channel, or directly to [email protected] or hit me up on Discord: Infamy#8481. I'm already a backer, do I need to sign-up for the Invitational Open Alpha? No – you will automatically have access to the Alpha – please do not sign-up again for the Invitational Open Alpha. You sure can. Just head to the Invitational Open Alpha registration page and signup. Looking forward to seeing you all this weekend! Any questions feel free to ask here or in Discord.